I met a young fellow the other day, he’d drifted out of school last year, realised that he was going nowhere, so he had finally taken himself to the Tertiary High School (THS) at Manukau Institute of Technology. He has this year completed Level 1 NCEA and Level 2 NCEA achieved two certificates and was planning next year to get started on his career pathway and would also complete Level 3 in case he needed it later. Such stories are relatively common, a speedy transition from failure to success because this is a different programme that takes students unlikely to succeed in a school setting, brings them in to MIT where they get basic skills into place and complete NCEA while simultaneously experiencing applied and technical disciplines before determining which pathway they will head down. The results speak for themselves – extraordinary high NCEA results and employment ready technical qualifications and, for some, a pathway into a degree programme. None of this would be possible were it not for NCEA. NCEA has been a liberating and powerful mechanism that has allowed different pathways to emerge. It has also.allowed a common currency of credit to develop making possible secondary / tertiary links that are probably at this moment reaching in excess of 17,000 students throughout New Zealand. Take Trades Academies as an example – MIT has 400+ students from secondary schools coming in for a “trades academy programme”, earning NCEA credits which they carry back to school to put with the credits gained in the rest of the programme. NCEA has not flourished as it should have in many schools for a set of simple reasons. Schools persist in equating Level 1 with Year 11, Year 2 with Year 12 and Level 3 with Year 13 for no apparent reason other than this is what they have always done (i.e. Yr11 School C, Year 12 6th Form Cert. and Year 13 Bursary / Schol). The THS at MIT has shown comprehensively that multi-level assessment and award of credits at different levels within a school year is possible, that NCEA is not a time bound qualification but an assessment regime that is flexible. Vocational Pathways was launched in a slightly raw state – a bit longer in the oven would have helped. Vocational Pathways should be an organising principle for course development and design in the senior secondary school rather than the “academic pokie machines” that they sometimes appear to have become. Schools programmes are completed and the lever pulled down. Ka-ching, Ka-ching Ka-ching , the barrels tumble then stop, three pineapples appear – wow, primary industries, fancy that! Vocational Pathways should be guiding the development of pathways in schools that link to postsecondary pathways and not just something to pop on the CV. I was pleased to see that there is wider recognition that Unit Standards and Achievement Standards are NOT the curriculum. The standards can be used to assess a variety of different curriculum contents, organised in a variety of ways across a range of curriculum disciplines and at a number of different levels. The Record of Learning is there for a reason. 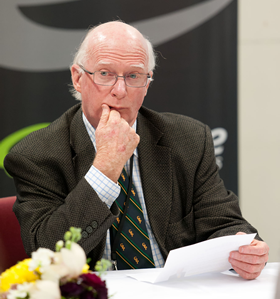 The announced Review of NCEA is welcomed provided that its goals and the way it works do not lead to capture by those still harking back to the “good old days” and who reject the powerful opportunities for change that NCEA offers. And dare we hope that review can be brave enough to deal with the promise made when the qualifications were reviewed in the 1990s? “Time served would be dead” we were told. But time served has never looked more secure. Calendar year blocks of education and training punctuated by Christmas Holidays might well be challenged in a review. After all there are only two institutions where time served is critical and in one you get time off for good behaviour! The NCEA Review must position the secondary system and to some extent the tertiary system to be ready for NZQA when they reach their goal of assessment “anywhere, for anyone, on line and on time.” There is a train a’comin” down the track! NCEA and the NZQA developments might eventually coalesce to be the only paradigm shift that we are likely to experience in education in our lifetime. Hey wait! Quick isn’t good. Right is good. Is it right to rush headlong into a free-fees tertiary regime? It seems OK to abolish National Standards without knowing what is to be put in its place so perhaps it is OK to abandon fees without knowing how it is to be done and who should get most benefit! But ideology is a funny thing which has a logic all of its own. Back in the 1980s the ideology of an unfettered free market drove a wide range of political Principles such as freedom, equity and open access all critical to a high performing education system were less important than other considerations. A set of briefing papers to the incoming Minister of Education in 1987 was prepared by the New Zealand Treasury and published with a touch of grandeur. This was an early and key outline of the view that post-compulsory education was a private gain and not a public good. The government’s contribution was to provide allowances and a loans scheme which gave students the cash to purchase education and training from the Government. Now the political whim is to reverse that situation and over a period of seven years, students in post-compulsory education and training will be free of fees again. But to achieve equity in education it is often critical that different groups of different people are treated differently. This free-fees development has all the look of a policy that will not be targeted well if at all. Rather than simply say that the fees must go eventually, there is here an opportunity to fine tune provision in ways that respond to a range of issues and allow the post-secondary education and training sector to make marked improvements to levels of equity and access and to its contribution to communities and the national good. Clearly the staggered approach which sees a start of 1-year-fees-free, then to 2-years-fees-free and, finally, to three-years-fees-free, is governed by fiscal considerations – there isn’t the money to achieve it in one go. But perhaps that is because of the assumption that everyone undertaking post-secondary education and training should have access to a fees-free pathway. As this policy is further developed prior to implementation, it could become a more sophisticated, nuanced and targeted policy than was the simple rhetoric of the simple election campaign announcement. As part of that development I would like to first see evidence that there is a body of people who are qualified to enter tertiary education and training but are unable to do so because of financial hardship. I would also like to see an analysis of the ways in which provision can be directed towards skills shortages and the needs of business industry and commerce. I would suggest that getting more people qualified to enter tertiary education and training in general is a higher priority than immediately rewarding all those who are already qualified to start next year. Attending to the stockpile of talent that sits at great cost to us all, untapped and wasting away, is a higher priority that firing money that those who have over the past 20 years shown that they can get to tertiary and indeed do so in spite of the debt incurred. This will require a willingness to address in a serious and meaningful way the issue of the NEETs pile of people which is, often at no fault of the individual, such a dead weight on productivity, social costs, poverty levels and the well-being of families. I would suggest that targeting fees-free initiatives towards Maori and Pasifika students continues to be a higher imperative and will continue to be while participation rates are inequitable and parity of outcomes not yet achieved. Targeting a fees-free initiative towards First-in-Family Students entering post-secondary education and training would have a major impact on families – the evidence is clear, the first-in-family member who completes postsecondary education and training qualification influences and transforms the family as other family members follow in those family-first footsteps. Currently there is a range of initiatives in place for fees-free postsecondary education. There are learnings in this for further developments and it would be a lost opportunity if they went unheeded. Targeting areas of skill shortages both by skill areas and by qualification levels would be a sound response to the current needs of business, industry and commerce and might focus on the serious skill issues for entry level and middle level workers. A significant number of people probably cannot afford to contemplate post-secondary education and training simply because their schooling has left them ill-equipped and to pass through the gate to tertiary and probably resource poor in facing the requisite commitments implied. Creating a fees-free pathway specifically for such people, many of whom are headed towards joining the NEETs, must be a top priority. The removal of the either/or relationship between training and benefits would be a good start. So, the point of this is that there might be a set of principles that will produce a greatly more targeted policy in this area than the simple roll-it-out-as-we find-the-cash approach proposed. Policies that are not well-targeted might be thought to achieve change but they seldom produce impact. Along the way much more could be achieved. Simply transplanting free-fees intro the current postsecondary education and training sector will be great for some but overall, a disappointment once again, for many. And a lost opportunity. It is one thing to see merit in scrapping National Standards in primary schools but quite another to know what to put in its place. The first cohort of students to proceed through primary education under the National Standards regime of reporting progress which was introduced in 2010, will be about to move on to secondary school. This pudding is about to be eaten and that will be the proof of whether or not they have had an impact on student performance. that the levels of progress would be calibrated so as to ensure that students were ready for secondary school when they moved on. The evidence of the past few years shows that Maori students have stay around the 68% level in the areas reported on, while Pasifika, Asian and European/Pakeha have all dropped back. Numbers of students reaching ‘at’ or ‘above’ the standards have been flat for the past five years. As these were the 2011-2016 results, teachers should by then have become proficient in applying the standards. More worrying perhaps is that student achievement in primary schools seemingly get worse rather than better from Year 1 to Year 8. So there could be an argument around whether or not a standards approach will raise achievement but there can be no argument that parents and caregivers deserve to have clear and accurate information about progress and whether students are being prepared for secondary school – a key role for any primary education system. As the call to abandon National Standards has been consistent from their inception, it is strange that no-one, not teachers, not academics, and not even journalists, have been able to suggest a replacement for them. Is it simply beyond education systems to account for the impact of teaching and learning to be reported to the community one way or another. Can not a simple statement be made about the progress made and whether the student is “on track” or not. Ironically, in the old days your progression was measured in “standards” which referred to the level of class you were in and taking the school report home also carried in it the confirmation that Mary would be going up into the next standard the following year – a statement greatly valued. “Standards” have been replaced by “Years” and your education is an automatic elevation through the standards. Elections and Education – What a Polly Scramble! The next year will be something of a “Polly Scramble” as the three parties that will make us the next government scramble to get some meaning to wrap around their slim descriptions of policy intention let alone to bring it into fruition. The thirty or so policies that I spotted are like a bag of all-sorts. Some are big, others are small but unlike lollies, some cost a huge amount while other have little cost beyond simply asking us to behave differently. And that is the challenge. The road to hell is paved with good intentions and education policies that have failed or perhaps not even been implemented or, and this is quite common, been socialised into the education system so that we can continue to act in the old way while seeming to adopt the new. So, I offer the list below as an aide memoire when you are asked about the progress being made by the new government in Education. Or perhaps even when you are asked what it is that you need. Spend $6b over 4 years to include $1.8b for more teachers, PD, resources (Labour) nationwide PD for teachers to ensure meet student needs equitably (NZ First). Increased PD and training for Trustees. Increase spending by $315m to build a more inclusive education system (Greens). Bring back more funding for ECE Centres employing 100% qualified and registered teachers (Labour). All ECE Centre employ at least 80% qualified staff within three years (Labour). Actively support more public centre in areas of low provision (Labour). $150 per student for school not charging fees or compulsory donations (Labour). Re-establish curriculum and school support advisors (NZ First). All students to have access to mobile digital devices (Labour). Low decile schools to get free after-school care, free holiday programmes, free lunches and the all the schools get school nurses (Greens). All schools to have modern classrooms within 12 years (Labour). $2,000 PM Awards for Vocational Excellence selected by the school (Labour). Review truancy contracts, their centralisation and the extent to which they meet local needs (NZ First). Double the funding for the Ongoing Resourcing Scheme (ORS) and the Early Intervention Service (EIS) (Greens). Scrapping Public Private Partnership for providing school(Labour). Doing away with Charter Schools(Labour). Strengthening child rights in the Education Act to ensure every child can be included in their local school (Greens). Increase living costs to $50 allowance and a $50 increase in the amount that can be borrowed (Labour). Postgraduates to get student allowances (Labour). Long course allowances and loans extended beyond seven years (Labour). Free tertiary education (1 year free for a 2018 start and 3 years free by 2024) (Labour). Wage subsidy equal to the unemployment benefit for employers taking on apprentices (Labour). Bring back ACE funding for night classes for adult learners (Labour). The School Leavers Toolkit school leavers will be getting a driving licence, possess workplace competencies, be financially literate, have budgeting skills and know their democratic rights and responsibilities (Labour). Fund properly Children’s Champions on the ratio Champs to kids of 1 : 400 (Greens). Students with additional learning needs will have the opportunity to experience school camps and activities just like every other student (Greens). I suggest you print this off, add any other policies that you come across and tick the ones that are implemented. Or when changes are suggested and/or made, see if you can spot them in this list.